Can Insecticides Ever Be Used for Midge Control? Some shore-side communities can be plagued by massive swarms of adult midges. 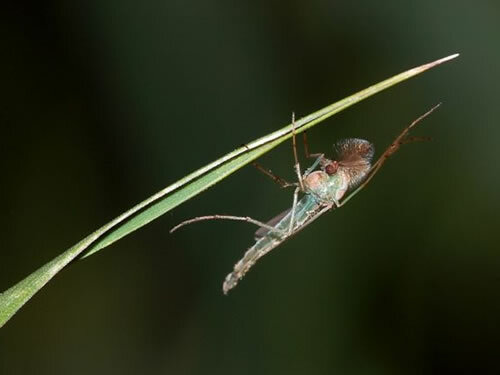 Sometimes called "blind mosquitoes" or "chizzywinks," midges are nonbiting insects in the fly family Chironomidae that breed in natural and constructed bodies of water (such as retention ponds). The worm-like larvae of midges live in lakes, streams, ponds, drainage ditches, brackish water, and even in polluted wastewater. The April 20, 2008 issue of Techletter presented a menu of control options for midges (light management, screens and buffers, decoy lights, traps, and ecosystem management), but the article just lightly touched on chemical control, which we discuss here. Chemical control of midges is controversial and is often not a practical solution for large midge outbreaks for various reasons: (1) potential environmental impacts from insecticides applied into water systems, (2) the phenomenal numbers of midges emerging night after night, (3) the fact that midge breeding areas can be widespread throughout a body (or bodies) of water, and (4) the critical control point may be at the bottom of a lake or other large body of water. 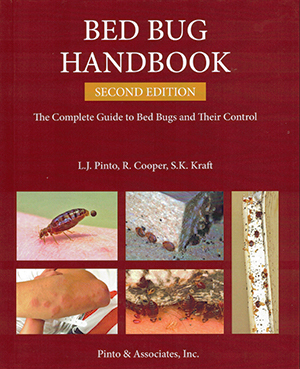 Nevertheless, chemical control can be used in certain instances to control midges, particularly if used as a supplement with other control tactics. There are two approaches: treating the water where the midge larvae develop, or killing the adult midges in the immediate area where people are being inconvenienced. The insecticides that are most often used to control midge larvae are the insect growth regulator (IGR) methoprene (Altosid®), the biological insecticide Bacillus thuringiensis var. israelensis (B.t.i.) (Teknar®, Vectobac®), and the organophosphate temephos (Abate®). Methoprene prevents the midge larvae from developing into adults. There are two disadvantages: high cost and environmental impact. The cost is high because the midge larvae live in the mud and muck on the bottom and because of this they are harder to kill than mosquito larvae, which live at the surface. The dosage must be high to work effectively. If the entire volume of water must be treated, which is often the case, a surprising amount of methoprene will be needed. And environmental studies have shown significant detrimental effects after methoprene treatment on populations of other aquatic organisms such as insects, crustaceans (including shrimp, lobster, and crab larvae), copepods, and warm water, freshwater fish. B.t.i. needs to be consumed by midge larvae to work. Water with high organic content has plenty of other food suspended in the water so, in most midge habitats, B.t.i. is only effective at higher rates of application (10 times the rate for mosquitoes). 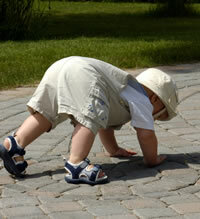 Abate (temephos) can only be applied by public health officials or companies under contract to public health agencies. Since it is a typical organophosphate insecticide, it is toxic to a broad range of other aquatic organisms. 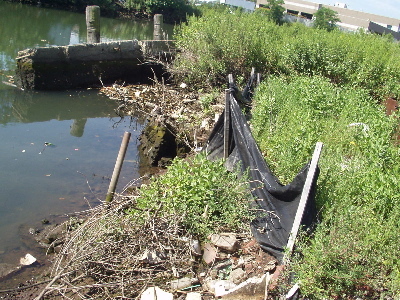 Use of larvacides should generally be restricted to retention ponds and other small bodies of water with low environmental quality. Because of the potential environmental impacts of larvacides for midge control, as well as the high dosage required to treat large bodies of water, use of larvacides should generally be restricted to retention ponds and other small bodies of water with low environmental quality. In some instances, however, the amount of larvacide needed for control can be reduced by focusing on primary midge breeding areas within a body of water. These areas can be determined by past history, sometimes by the amount of algae and "dead" areas present, or by sampling the sediments and water from the bottom and counting the number of midge larvae per unit area (which will typically be over 2,000 to 5,000 midge larvae per square meter before serious problems occur, according to some researchers). Adult midges can be controlled to some degree in the same manner and with many of the same insecticides that are used against mosquitoes. A ULV cold aerosol generator can apply a fog that will kill adult midges on contact. In traditional "fogging," you apply an aerosol of very fine insecticide droplets using a thermal fogger or ULV cold aerosol generator. The goal is to spray so that the insecticide contacts the adult midges. Fogs are most often applied in back yards and immediately around homes. In some instances, fog applications are made to shoreline vegetation by boat-mounted or truck-mounted foggers in order to kill midges resting in grass or other vegetation near the water's edge before they fly to buildings. This type of treatment is only suitable over certain bodies of water and with certain insecticides and will need to be cleared with the proper regulatory agencies or applied by a government agency because of risk of water contamination and potential nontarget effects. 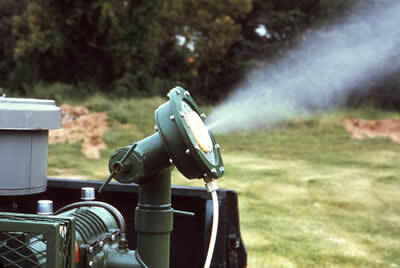 The most effective way to apply a barrier treatment for midge control is with a powered mist blower. A better strategy, however, is to apply a residual insecticide onto midge resting areas in and on vegetation next to buildings and on exterior walls, particularly those that have bright lights shining on them. As the midges land on these resting areas they pick up a lethal dose of insecticide. This is often called "barrier treatment." 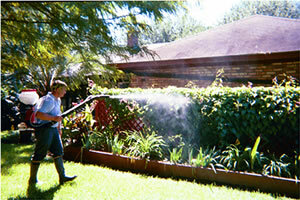 The most effective way to apply a barrier treatment is with a powered mist blower. However, the application can also be made with a power sprayer, backpack sprayer, and even a regular compressed air sprayer. A wide range of insecticides used for mosquito barrier treatments are also likely to be effective for midge control including lambda-cyhalothrin (Demand CS®), deltamethrin (Suspend®), bifenthrin (TalstarOne®), cyfluthrin (Tempo®), permethrin, tau-fluvalinate (Mavrik®). Some EPA-exempt products may also prove effective, including the following botanical oils: EcoExempt® IC-2 (rosemary and peppermint oils), Mosquito Barrier® (garlic), and Nocdown III® (cedar). But be sure to check the label of the specific product to be certain that the product can be used for midge control on the sites treated. Adult midge control is by its nature short term and only partially effective. Limitations include: (1) not all midge resting areas are treatable or reachable, (2) it is difficult to get complete coverage inside thick vegetation, and (3) midges keep flying in from breeding sites and repopulating the area. In general, nonchemical approaches are more suitable for effective midge control.